Timber frame buildings can be traced all the way back to the early 19th century. They became popular in residential home construction and also in commercial places like markets. Timber frame construction is still popular to date and considered ideal in out-of-the-box home design ideas. Timber framing construction was highly popularized in Europe before it was embraced by the rest of the world. In Germany, you can find examples of half-timber buildings in market squares. Over to France, a great number of buildings in Rue du Gros-Horloge (Rouen) city are half-timbered. Today, a timber frame design would be perfect if you are looking for something totally unconventional in home design. It allows you to exploit new territories in creativity and even end up with a covetable and cozy place to call home—and this is just a tip of the iceberg. 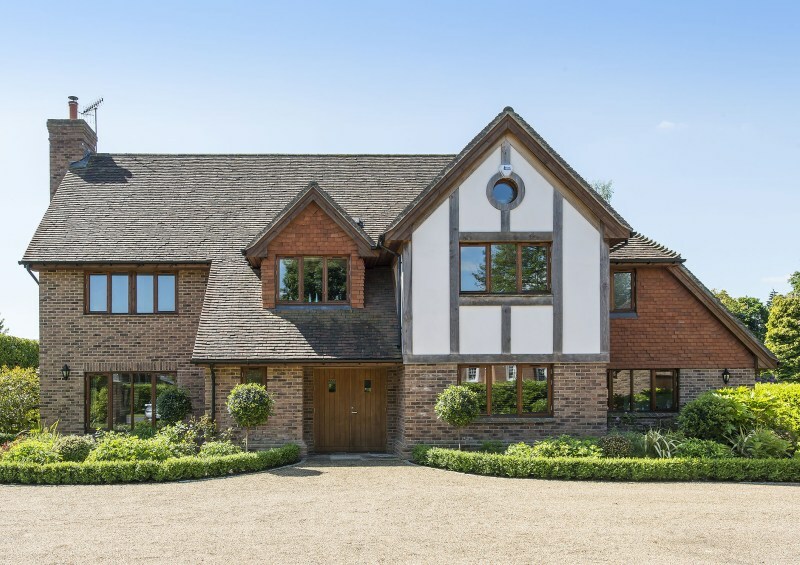 On the other hand, it can be quite demanding designing and maintaining a timber framed home. As much as there is everything to love in a stylish wooden frame house, we cannot ignore the possible downsides of such an investment. On that note, we’ll explore both the pros and cons of erecting a timber frame home. This should help make or break your decision on whether to have a modern timber design home or stick to the conventional brick and mortar option. When you choose to construct a timber-framed home, you are making one of the best investments in your life. Here are the benefits you stand to enjoy before and after completion of your home. One of the benefits a wooden frame design has over conventional concrete is the ability to be designed off-site. The timber bits are produced beforehand prior to being transported to the site. This helps your suppliers and contractors have a 3D view of what your home will look like before construction. Any issues that may be noticed at this designing phase can be rectified immediately which results to a more robust construction. With concrete frames, everything has to be done on site which leaves a lot of things to chance. Most suppliers of fabricated wooden frame offer to erect the structure on behalf of their clients. This ensures that the structure is properly erected according to factory standards. It gives you the peace of mind that nothing can go wrong once the frame is done because the manufacturer did the installation themselves. Timber framed structures are faster to construct compared to brick and mortar ones. This helps keep the contractors stay on schedule and finish the construction on time. It becomes easier to move to other phases of construction faster like plastering and wiring. In fact, electricians are able to do the best wiring installation because the cables won’t be exposed to weather conditions longer than required. Part of what makes wooden frame structures popular is the flexibility in how you can design your home with them. Wood can be bent or shaped in any form allowing you to vary how the end design of your home will look like. Wood makes it easy to have a beautifully warped ceiling or spiraling staircases. You may also borrow inspiration from 19th-century timber frame designs to bring the rustic magic to your home as well. Additionally, if you are thinking of an open plan home, timber frame would be great to work with. If you have been in a cabin house in winter, you can attest to how warm and cozy it felt inside. This is because timber has brilliant insulating properties that make it perform better in cold or hot temperatures. You don’t even have to keep your indoor heating running constantly in winter. All you need is a cozy fireplace to warm up the house and the wooden frame will retain the heat. Though we get construction timber from trees, we still plant more in their place. This restores nature’s balance, making timber one of the best renewable resources for construction. So, you can be assured that your home is totally eco-friendly because you gave way for a new generation of trees to grow. A lot of the downsides of timber-framed buildings may be experienced as a result of errors made in the construction and post-construction phases. To enjoy a uniquely designed home, the timber frames have to be carefully designed before being shipped. This can take time depending on how complex the designs requested are. As any contractor will tell, the longer it takes for raw materials to arrive, the more the delay in your housing project. A wooden house is pleasantly cozy during winter but it can be unbearably scorching in summer. Timber absorbs heat faster and raises the temperature of your interior fast. It can also get really cold in winter because of how fast timber cools. So you have to find a balance between heating and cooling your home to be able to enjoy it through the seasons. Timber frames are not as dense as concrete walls. They allow sound to pass through easily and this can be a problem if you are a private person. If you are holding a sensitive conversation, anyone in the adjacent room will be able to hear (they don’t need the glass on the wall trick). Fortunately, contractors can mitigate this by constructing two separate timber walls leaving a vacuum in between that is filled with absorbent material. Mineral wool is the best material to muffle sound that is passing through the walls. The outer surface of the timber frame tends to rot if exposed to moisture for too long. Generally, the moisture content of about 20% is enough to instigate rot on wood. Therefore, you have to ensure your indoor heating is optimal to prevent moisture build-up. If you are thinking of open plan design for your new home, consider installing a timber frame design. It is faster to construct, gives more flexibility in design, and adds a rustic homely feel to your space. Just ensure that you take care of the wood so that it lasts longer.